Acts 242 Study | Solomon the Wise?? 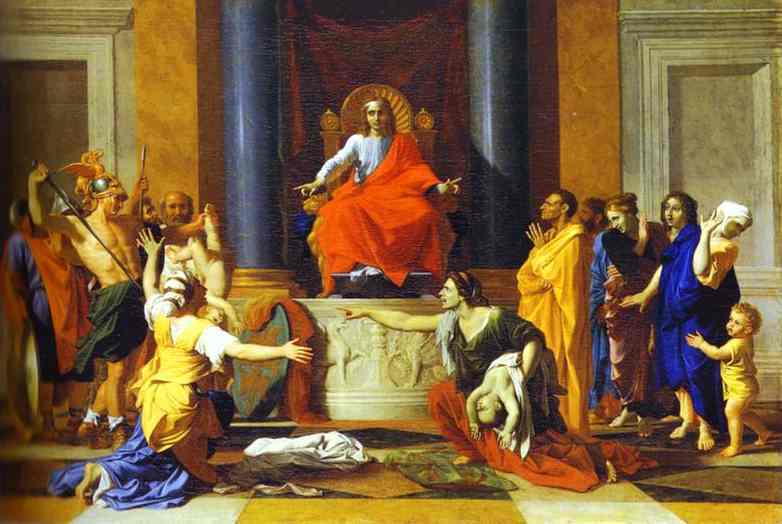 A careful re-reading of Deuteronomy chapter 17 recently, revealed some errors in my previous thinking concerning Solomon’s reign as king over Israel and made me wonder how wise he really was, according to the Scriptures. From earlier teaching, I had always been told that Solomon was the wisest man who ever lived and was left the impression that he was a very great and competent king. My first wrong assumption was that God did not want the Israelites to even have a king (See also my earlier post, “And the King Will Take a Tenth“). Contrary to this, God anticipates that the Israelites will want a king and so he set out the parameters and qualifications of a king. In Deuteronomy 17 God says, when (not if) you get a king, here is what he must be like. Verse 15 speaks directly about a later king of the Jews, Herod, because he was not a Jew, but an Idumean. The Jews were correct to despise him because he was not one of them and according to the qualifications, he should not have been their ruler. Solomon passed this test as he definitely was a Jew. Deuteronomy 17:16 says that the king of Israel must not acquire great number of horses for himself and must not make anyone go back to Egypt to get them. If you look at 1 Kings 4:26, it says that Solomon had four thousand stalls for chariot horses and owned twelve thousand horses. All the best horses came from Egypt and Solomon sent many expeditions to Egypt to get horses and other goods (1 Kings 10:28-29). Deuteronomy 17:17 says that the king of Israel must not take many wives or his heart will be led astray. We read in 1 Kings 11:3 that Solomon had seven hundred wives of royal birth and three hundred concubines and that his wives led him astray. It goes on to say that he did evil in the eyes of the Lord by doing this. Deuteronomy 17:17 also says that he must not accumulate large amounts of silver and gold. In 1 Kings 10:14-29 it describes Solomon’s affinity for wealth. The Jewish Bible portrays the rejection of his penchant for wealth by saying that he accumulated 666 talents of Gold, yearly. By using the numbers 666, they were saying, in an editorial way, that he was doing something evil. Solomon also really messed up when he hired foreigners to come in and build the Temple. It was not appropriate to Hiram and the Sidonian craftsmen to construct large parts of the Temple. The Jews had plenty of quality craftsmen. By doing this, it allowed these foreign men to bring in their foreign gods and intermarry with the Jewish people. This mistake eventually allowed Jezebel, who was a Sidonian, to play a shameful part in Jewish history. Although Solomon was obviously a very smart man, almost everything he did ended up bringing disaster on the Jewish nation. Solomon is proof that wisdom is not enough We must read the Book or we will end up like Solomon; even though wise in a worldly sense, still failing miserably in God’s eyes. Had Soloman written and read the Torah, I’m not so sure he would have repented; given his prideful, know-it-all, greedy nature.